At home in both opera and oratorio, Leif Aruhn-Solén has a particular interest in music from the early Baroque period through Mozart. He has sung in Monteverdi’s L’ORFEO and L’INCORONAZIONE DI POPPEA, Purcell’s DIDO AND AENEAS, Rameau’s LES PALADINS, and Mozart’s ZAIDE. Recent engagements have also included Don Ramiro in Rossini’s LA CENERENTOLA at the Royal Opera in Stockholm and at Potsdamer Winteroper, Gluck’s DIE PILGER VON MEKKA at Salzburger Landestheater, Rousseau’s LE DEVIN DU VILLAGE at the Styriarte Festival in Graz, Gassmann’s L’OPERA SERIA at the Drottningholm Theatre, the world premiere of Thomas Lindahl’s KARLSSON ON THE ROOF at Malmö Opera, and the role Rinaldo ARMIDA with Pingchut Opera, Sydney, Australia. In the spring of 2013, he received great acclaim for his debut at Opera Queensland in Brisbane in the role of the Evangelist in a staged version of Bach’s St. Matthew Passion. On the concert stage he has performed both as the evangelist and the tenor soloist in Bach’s St. Matthew and St. John Passions and Christmas Oratorio. Other often performed tenor solos have included Bach’s Mass in B minor, Handel’s Messiah and Mozart’s Requiem. 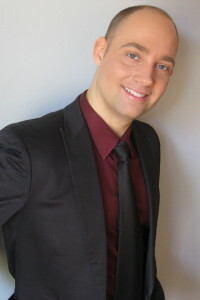 Leif Aruhn-Solén has appeared with Grand Théâtre de Genève, Théâtre du Châtelet in Paris, the Royal Opera in Stockholm, Opéra National de Montpellier, the New Israeli Opera in Tel Aviv, Opera Queensland in Brisbane, Glimmerglass Opera in New York, Chicago Opera Theater, Opera Theatre of Saint Louis, Salzburger Landestheater, Malmö Opera and the Göteborg Opera. His orchestral engagements have taken him to several of the world’s music centers to perform with such prestigious orchestras as Les Arts Florissants conducted by William Christie, The Netherlands Bach Society, Freiburger Barockorchester, Il Giardino Armonico, Concert Spirituel, the Cleveland Orchestra, the City of Birmingham Symphony Orchestra, the National Philharmonic in Washington DC, the Oslo Philharmonic Orchestra, the Jerusalem Symphony Orchestra, the Singapore Symphony Orchestra, the Belgrade Philharmonic Orchestra, the Swedish Radio Symphony Orchestra, the Gothenburg Symphony Orchestra, New Trinity Baroque, the Drottningholm Baroque Ensemble and Rebaroque. Leif Aruhn-Solén has also recorded extensively. In 2010, a CD with Handel arias, performed together with New Trinity Baroque, was released on Edition Lilac. Other recordings include complete operas by Martín y Soler and Mazzoni on Harmonia Mundi K617, Charpentier’s Judicium Salomonis on Virgin Classics and a solo CD with Swedish art songs on Sterling. Leif Aruhn-Solén was born in Stockholm, Sweden. He studied vocal performance at the Royal College of Music in Stockholm from 1994 to 1998. In 2001, he earned the Artist Diploma from Oberlin College, Ohio.